Attract-and-kill and mass trapping devices are population suppression tools for pests such as Mediterranean fruit fly (Ceratitis capitata). 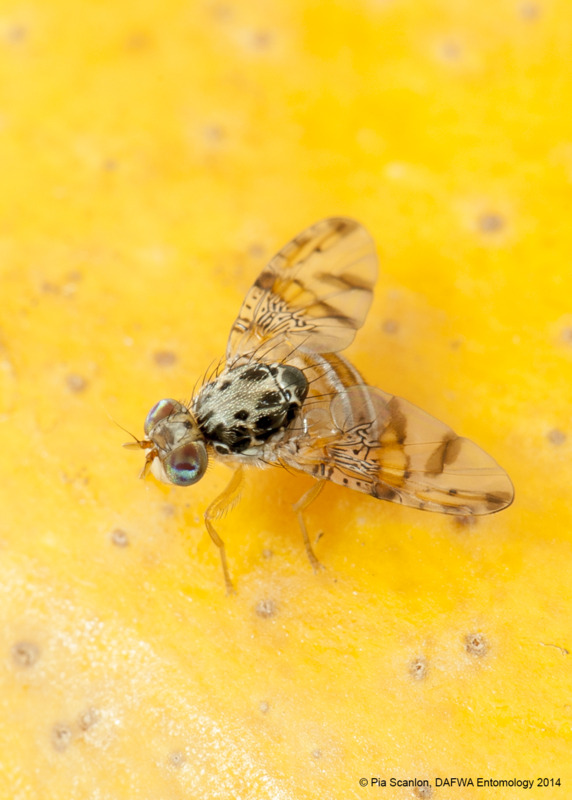 The Department of Primary Industries and Regional Development has been working with industry to further develop these useful tools in the fight against fruit flies. 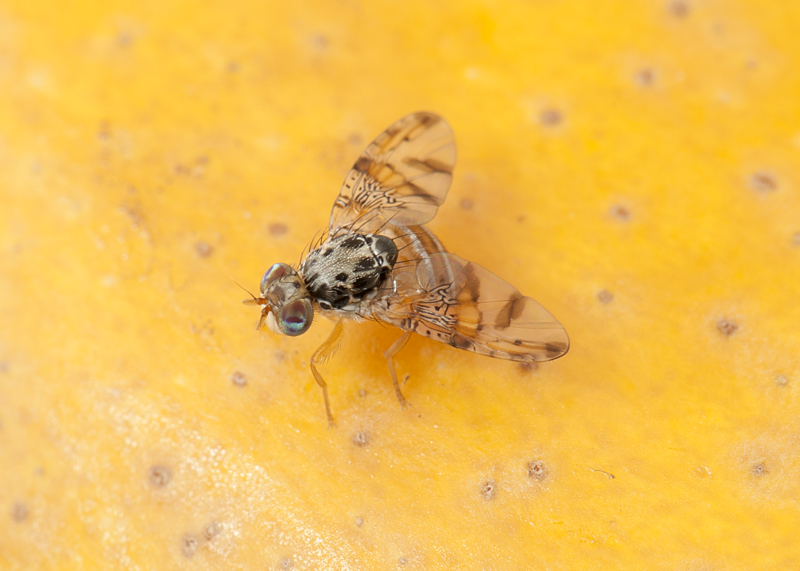 Overseas, the efficacy of attract-and-kill and mass trapping has been demonstrated in crops attacked by Mediterranean fruit fly (Medfly), including apple, peach and citrus. Attract-and-kill devices lure insects to a surface coated with insecticide, whereas mass trapping devices retain insects inside the bait station. Attract-and-kill and mass trapping devices can contain either wet or dry food lures. Male and female flies attracted are killed by obtaining a lethal dose of insecticide when they walk across or enter the device, or drown in the liquid inside it. These techniques are effective when combined with bait spraying, however the efficacy of both systems is highly dependent on pest density population. 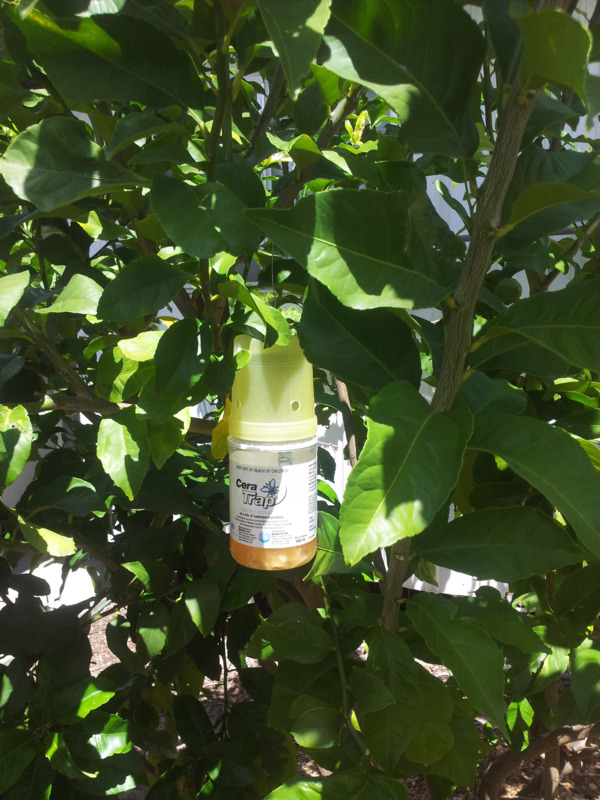 Make sure that you dispose of the contents and used lures away from fruit trees or potential Medfly hosts as the contents may still attract fruit flies. CeraTrap® is registered for mass trapping in Australia and contains a wet food lure. The trap body consists of a plastic base and yellow lid, and the liquid lure is contained within the base. Flies enter through small holes in the lid and eventually drown in the lure. Freshly-killed flies will float on the surface. CeraTrap® should be installed at the rate of 25 to 150 devices per hectare, depending on crop susceptibility. The higher the susceptibility, the higher the rate. For example, stone fruit in a high pressure area might require 150 devices per hectare. As the CeraTrap® uses a wet liquid lure, the trap can dry out during summer and should be topped up with more liquid as required. When dry, Ceratrap® still attract Medflies, but they will not be killed. CeraTrap® is available in major warehouses and rural merchand stores in Western Australia. Magnet MED™ or MagMed is an attract-and-kill’ system for use against fruit fly in pome and stone fruits and table grapes. MagMed devices consist of a plastic envelope coated with the pyrethroid insecticide deltamethrin. Flies are attracted by the odour emitted through holes in the envelope by a sachet of Biolure® Unipak (containing ammonium acetate, putrescine and triethylamine) inserted into the envelope. The recommended application rate for this device is 50–75 devices per hectare depending on crop and pest level. For areas of high infestation and higher value crops such as stone fruits, the recommended is 75 devices per hectare. 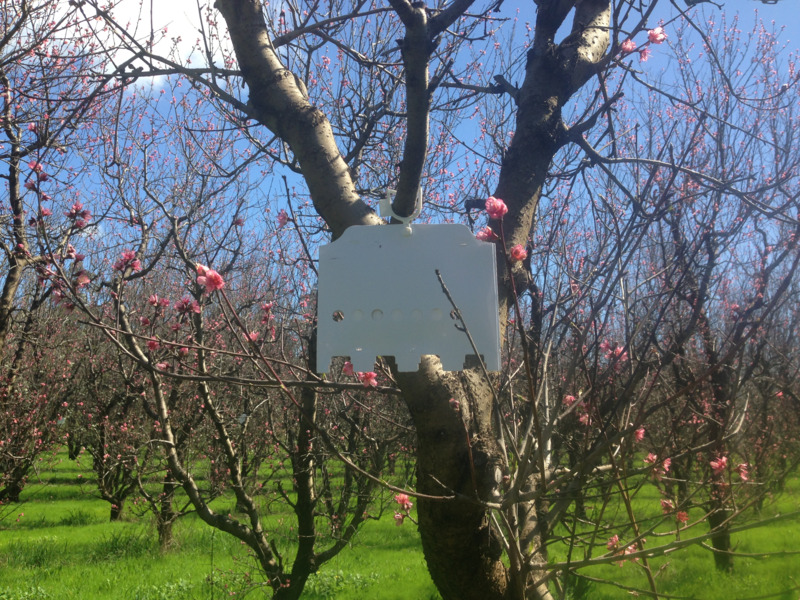 A three-year large scale study in pome and stone fruits carried out by DPIRD showed that these Medfly control devices remain effective for up to 5-6 months, however, it is recommended to use this device in combination with bait-spraying particularly in high infestation and higher value crops to achieve good control of fruit fly. MagMED is distributed by Organic Farming Systems and available only to commercial growers for use under a research permit and in supervised domestic situations. Public enquiries should be directed to DPIRD’s Pest and Diseases Service (PaDIS) on 08 9368 3808.